Check out views and specifications for each of our meeting spaces. Each space can be reconfigured to meet your event needs. 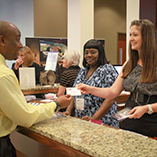 The Florida State Conference Center is comprised of dedicated professionals who provide professional event planning geared toward making your event a success. 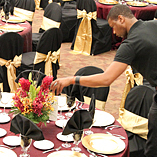 Event Planning – An event coordinator will assist you in planning all elements of a successful event. Presentation Services – Our team will assist in selecting lighting and sound options as well as optimal use of the Center’s video walls and smart podiums. Extended services such as graphic design and web recording are also available. Catering – Your catering choices range from coffee breaks to a selection of buffets and served meals varied enough to meet anyone’s tastes or dietary requirements. Let us provide great food for your event at reasonable prices. Contact us today to start planning your event. 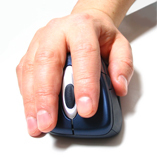 Registration – The Center offers options for convenient electronic event registration. Parking – Our adjacent five-story parking garage has the potential to allow your guests ample covered parking at reasonable rates. 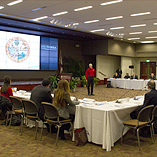 Equipped with the latest in live presentation video streaming and a friendly and knowledgeable staff, the Florida State Conference Center stands ready to deliver your message. Webcast recorders capture and stream conferences for live or on-demand viewing. More about our Web Recording and Video Studio Services. 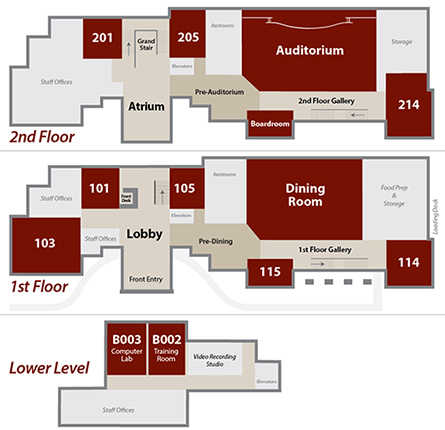 What types of events can be held at the Florida State Conference Center? Consistent with the department’s mission of learning for life, the center is intended for academic conferences, government meetings, association programs, corporate seminars and numerous other professional development events. I want to hold a meeting at the FSU Conference Center. How do I get started? Contact us to ask about booking. An event coordinator will be in contact with you soon. 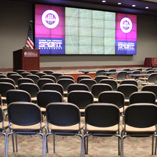 What services does the Florida State Conference Center offer for my event? We offer a variety of media services and equipment, registration, and catering services. Please contact us for details and pricing. Reserved parking is available in the adjacent 5-story parking garage with prior arrangements. Will I have assistance during my event? Absolutely. Your event coordinator will be present to help with last minute room changes, additions to A/V needs, or anything else that may occur. Your event coordinator will monitor all areas of the event during the scheduled times and assist in any way needed. Do you offer follow-up feedback from my event? Event analysis is available. We can collect information from your participants regarding the operation of the event and any other specific information you desire. 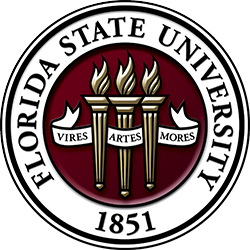 The artwork displayed in the Florida State Conference Center is part of the Art on Campus initiative that aims to showcase and promote artworks produced by faculty, alumni, graduate and undergraduate students of the School of Art and Design. 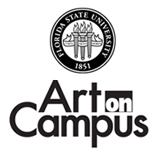 Learn more about The Art on Campus Initiative at the Florida State Conference Center.